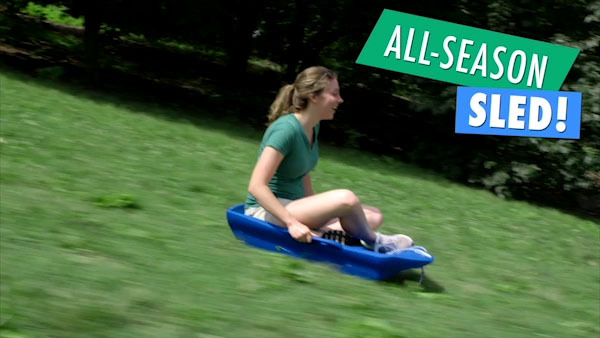 Slicer All-Season Sled: Year-round toboggan. Sledding is one of the best parts of winter. But when the snow melts, your fun doesn’t have to stop. The Slicer All-Season Sled provides outdoor exhilaration in each of the four seasons and in between! 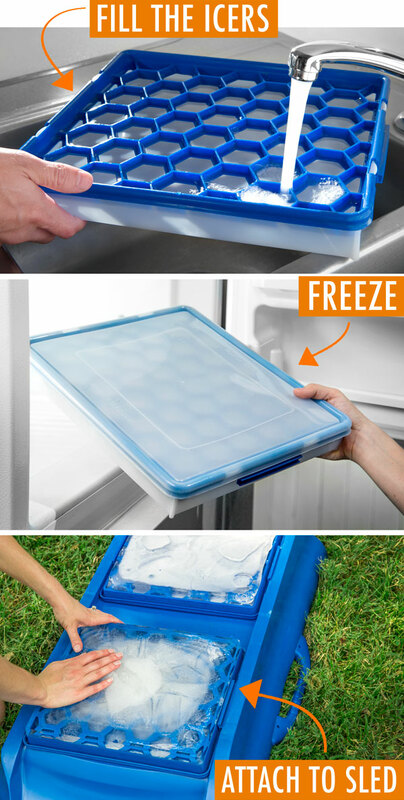 Fill up and freeze the included removable ice trays, slide the slippery frozen ice sheets into the Slicer, and hit the slopes. You can conquer your favorite hills over and over, whether they’re covered in grass or fresh powder. Grab your slicer and hit the hills year round! Winter activities are supposed to be limited to the cold months but we've never let that stop us before. The Slicer All-Season Sled is an easy way to enjoy the classic winter activity at any time of year. 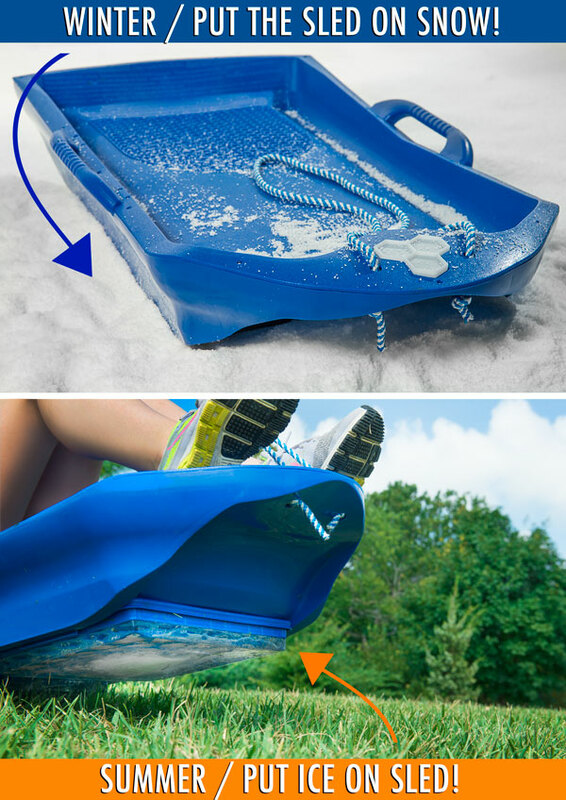 The sled’s innovative removable ice sheet design lets you slide on grass as if it was the powdery stuff. Go down your favorite sledding spot, but take sunglasses instead of mittens before you do. Why should winter hog all the fun? 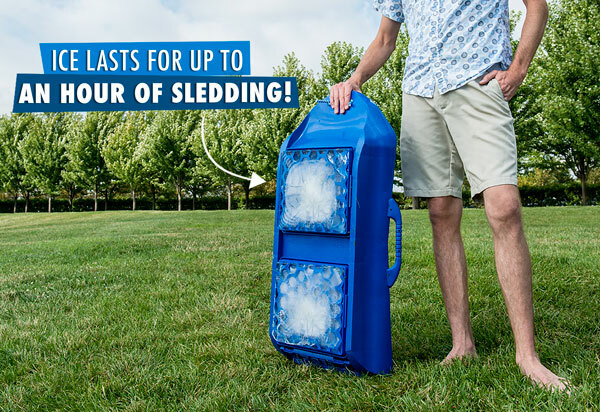 The ice blocks on the bottom of the Slicer simulate snow by providing a slippery surface for you to glide on so you can speed down a hill no matter the season. 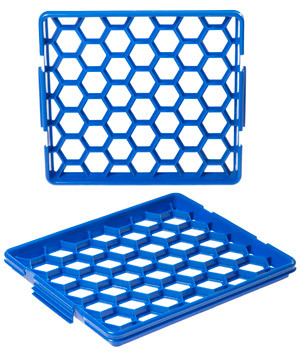 Before you hit the slopes, you’ll need to create your ice sheets using the Icer ice molds. Fill the Icers with water, replace the lid on top, and freeze for 24-48 hours. 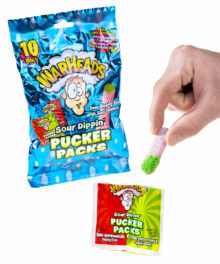 Once the Icers are frozen, remove the ice blocks from the containers and snap into place on the bottom of the sled. The sheets are designed to lock into place so they don’t slip out during use. 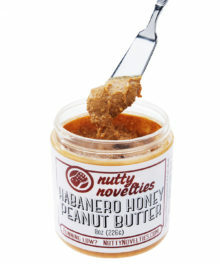 You’re now ready to have some winter-in-summer fun! When you use the Slicer, sledding is always in season. The ice sheets let you experience the thrill of winter sledding in spring, fall, and summer. 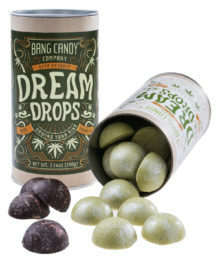 Imagine sledding down a hill while holding sparklers during a fourth of July party! When winter creeps in, remove the ice sheets and use the Slicer as a traditional snow sled. The handles and attached rope will help you navigate snowy or grassy terrain. 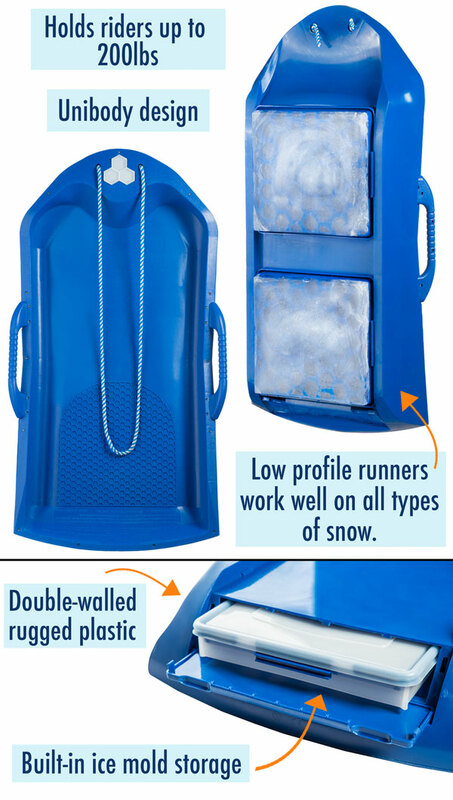 When using the Slicer All-Season Sled for ice sledding, the duration of the ice sheets will depend on the weather. In cooler temperatures with moderate use, the ice sheets can last up to an hour. Warmer temperatures will make the ice more slippery and allow you to go faster; however, that also means that the ice melts faster. 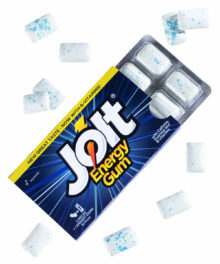 If you want to ensure a longer sledding time, buy a few extra Icers and keep the fun gliding along. Extra Icers keep the sledding going strong. The Slicer All-Season Sled can accommodate riders up to 200 pounds. When riding in the winter, the shape and design of the sled allow you to race down a hill of packed snow or deep powder. When not being used, the Slicer contains convenient storage for your Icers. The bottom of the sled has a door that opens to the sled’s hollow interior and fits both your Icers. 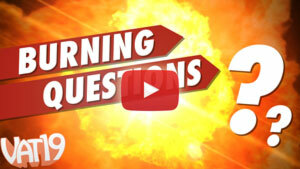 Question: What temperature is best for ice sledding? Answer: The Slicer’s ice sheets work best around 78 degrees Fahrenheit. You can use the Slicer as long as the temperature is above freezing, but it’s harder to get speed going in colder weather. 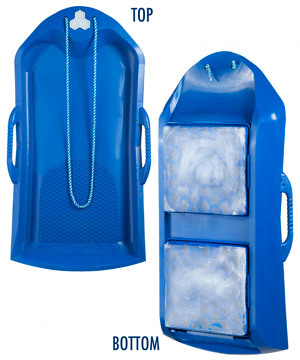 Question: How does ice sledding compare to snow sledding? Answer: Under the right conditions, ice sledding produces the same speed as snow sledding. Please note that you are not able to steer during ice sledding, so pick your hill accordingly. 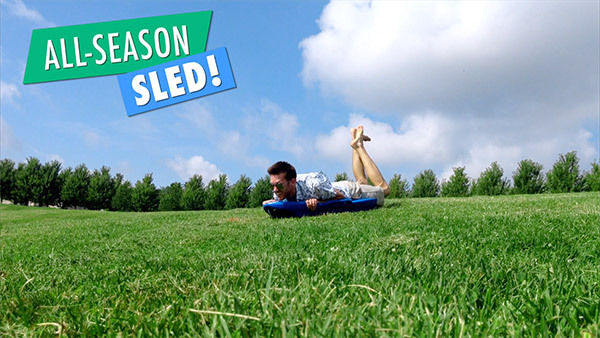 Question: Can you sled on any surface? Answer: The Slicer is designed for use on grass and snow. Other surfaces will work but may not provide as smooth or safe of a ride.